Barto, Pennsylvania. Campus of The National Centre for Padre Pio. San Giovanni Rotondo replica on right. 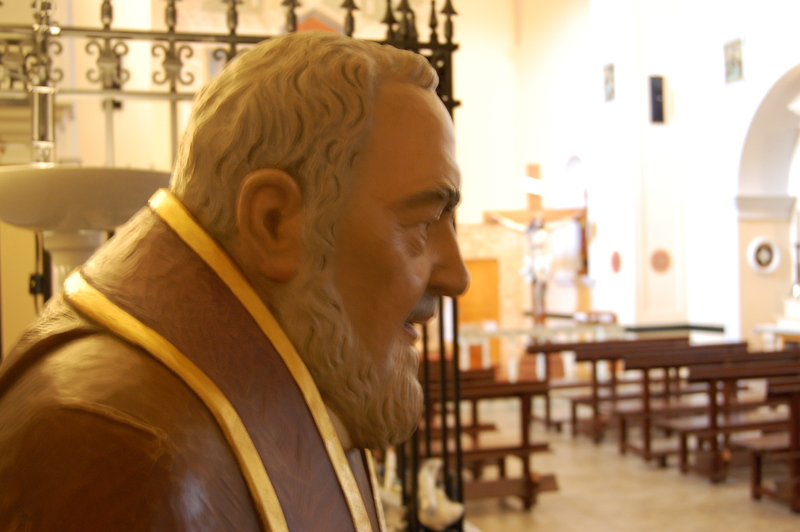 Padre Pio was famous for bilocation. He appeared in others dreams, by voice, by his presence, fragrance and bilocating in physical form. 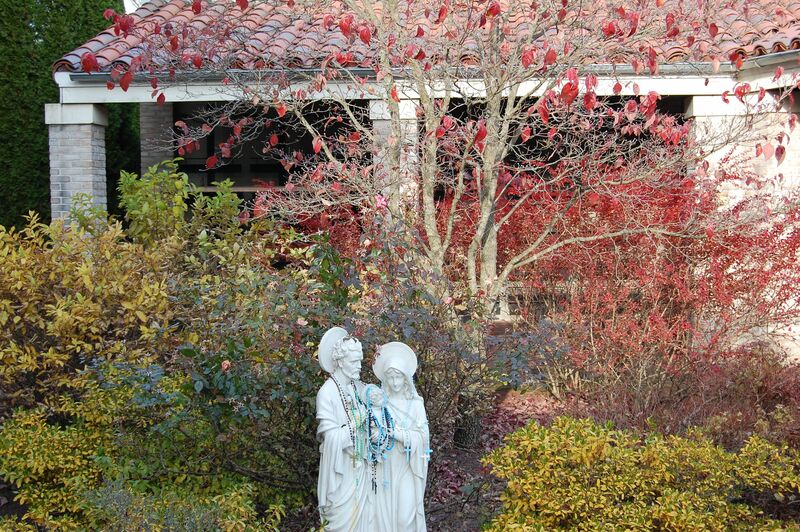 Near Barto, Pennsylvania, Padre Pio bilocated into Vera Calandra’s life, asking her to come to Italy quickly (he was to die several months later) and see him, as her daughter’s health was deteriorating. It was 1968 and doctors had surgically removed the child’s bladder, but after seeing Padre Pio in Rome, the child miraculously received a new bladder. This became another of the known miracles attributed to Padre Pio, but not the miracle used for beatification or canonization. 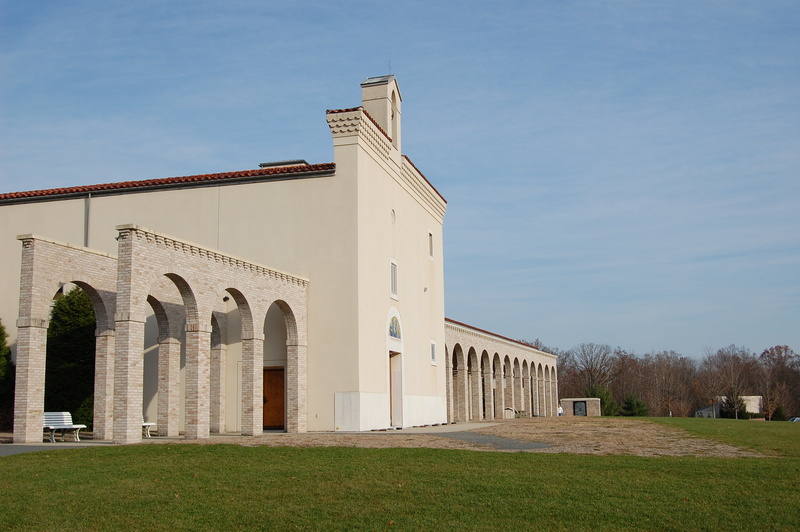 Later in life, Ms. Calandra went on to build The National Centre for Padre Pio in Barto Pennsylvania, a true devotion to the saint. Jesus, Mary and Joseph, the original Holy Family at the National Centre for Padre Pio in Barto, PA.
See, the Holy Family icon by Neilson Carlin of Kennett Square, PA.
Pope Francis with President Obama, Sept 23, 2015. Photo by Reuters. The Connection: Pope Francis, St. Francis of Assisi, Padre Pio. 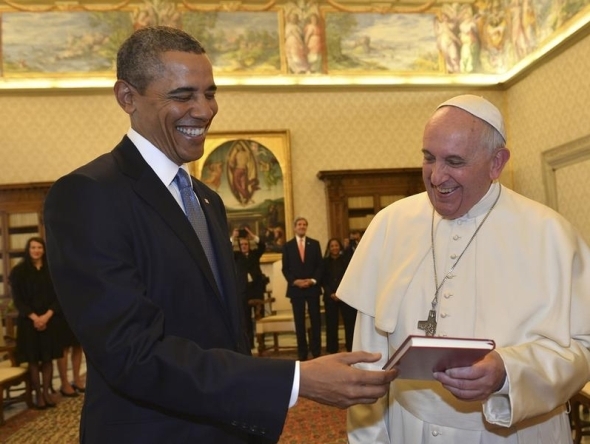 Although a Jesuit, Pope Francis has a strong devotion to St. Francis of Assisi, founder of the Franciscan Order, as evident by taking the saints name. Pope Francis has visited and prayed at the site of the original San Damiano Cross in Santa Chiarra (St.Clare) Church in Assisi, Italy. Padre Pio, a Capuchin Franciscan is intimately familiar with St. Francis, and like Pope Francis, has also prayed at the San Damiano Cross. Here is the San Damiano Cross (in Barto, PA) that St. Francis of Assisi was praying, when asked by God to rebuild the Church. This Cross and St. Francis of Assisi is another connection between Pope Francis and Padre Pio. 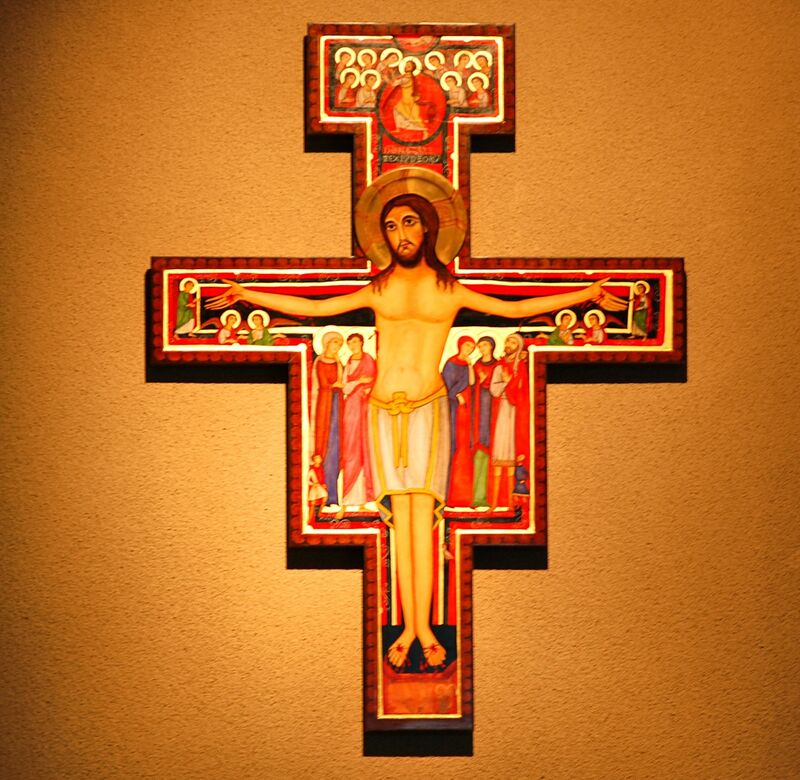 See the symbolism of the San Damiano Cross. Pope Francis visited the USA and Philadelphia, Pennsylvania, roughly 50 miles from the National Centre of Padre Pio in Barto, Pennsylvania, where the miracle that made Padre Pio a saint originated. Pope Francis will have the Jubilee of Mercy in 2016, to highlight the Catholic Church’s “mission to be a witness of mercy.” Jubilee for Padre Pio’s Prayer Group will take place Feb. 13, 2016, as the body of Padre Pio will be exposed in St. Peter’s Basilica Feb. 8-14, at Pope Francis’ request. 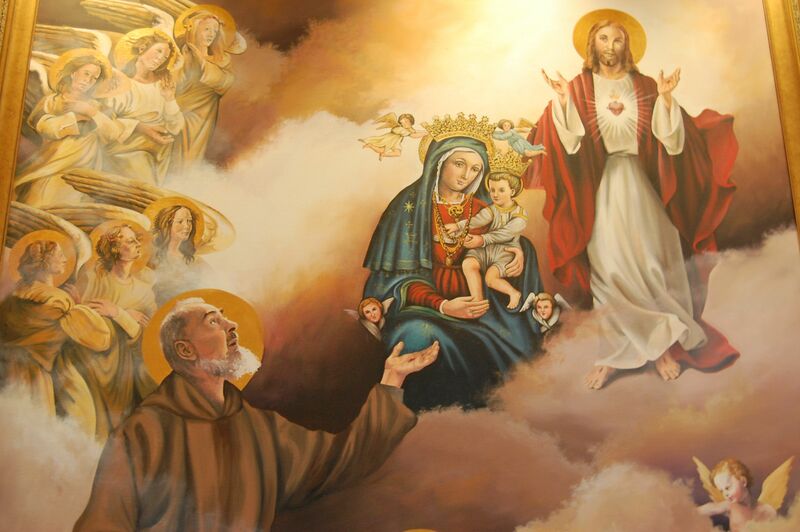 Painting in Our Lady of Grace Chapel, Barto PA.
Padre Pio celebrated his final Mass the day before he died, on September 22, 1968. He is and will always remain a Capuchin Franciscan. 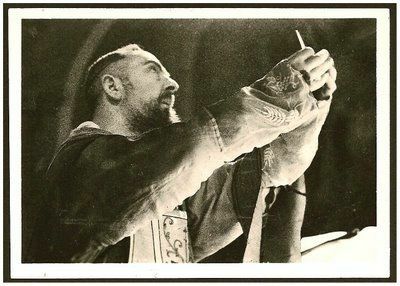 Like St. Francis, Padre Pio was a stigmatic, he had on his hands, feet and side the wounds of Christ, starting in 1910 and ending a few months before his death. He performed thousands of miracles and could read the hearts of those who went to his confessional. Padre Pio’s feast day is September 23. 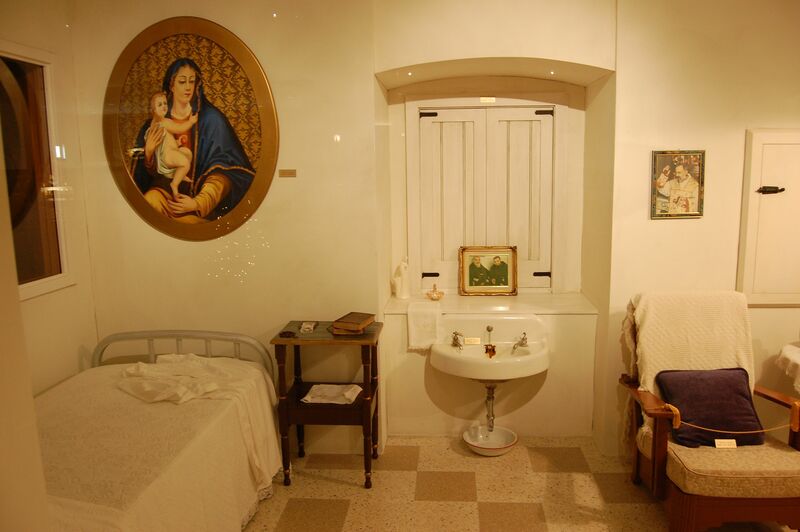 A replica of Padre Pio’s residence in Italy. A humble life. From the Saint Pio of Pietrelcina Museum, Barto, PA.
Padre Pio’s strong devotion and love to the Blessed Virgin Mary during his lifetime and continues in Heaven. 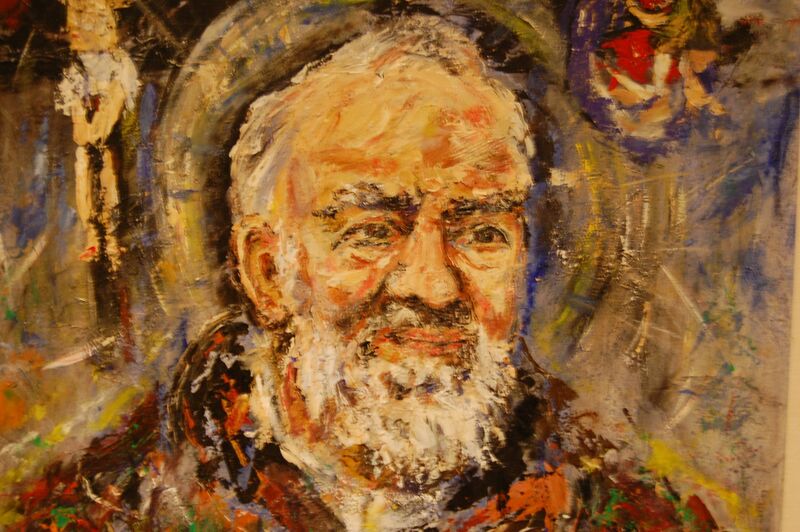 Painting of Padre Pio of Pietrelcina. Padre Pio Spiritual Center. 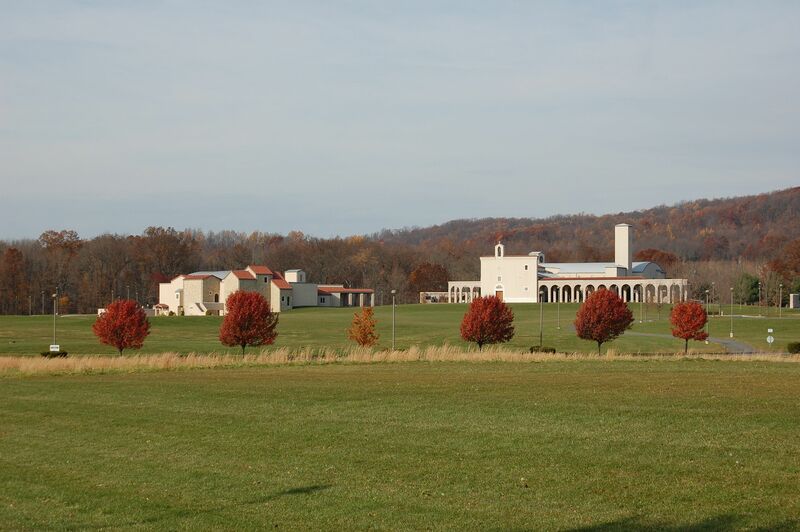 Replica of San Giovanni Rotondo at the National Centre for Padre Pio in Barto PA, about 50 miles from Philadelphia Pa.
Church at The National Center of Padre Pio. On right side of altar is Padre Pio. 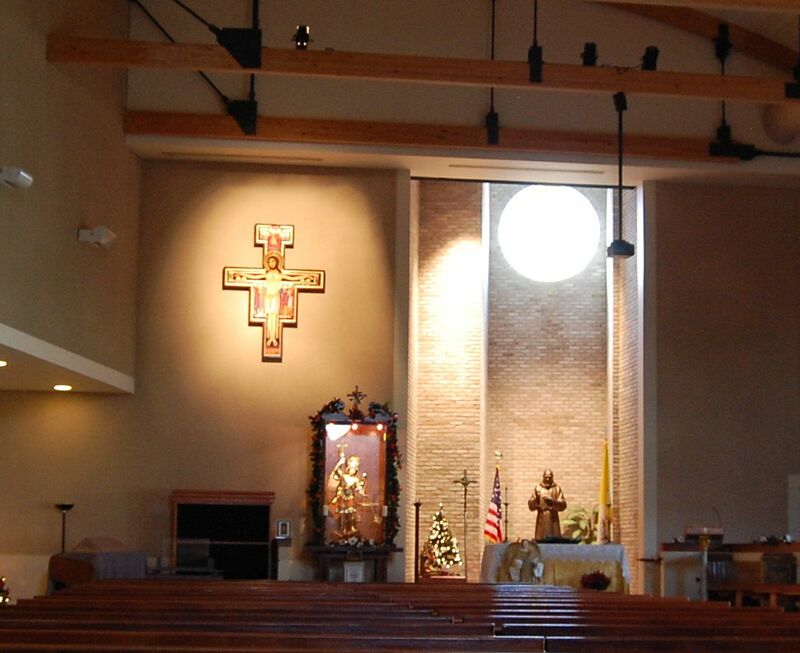 Due to Church infighting, no Mass is offered on the premises. They do have rosary prayers and Stations of the Cross. Replica of Our Lady of Grace Chapel that Padre Pio prayed in each day. 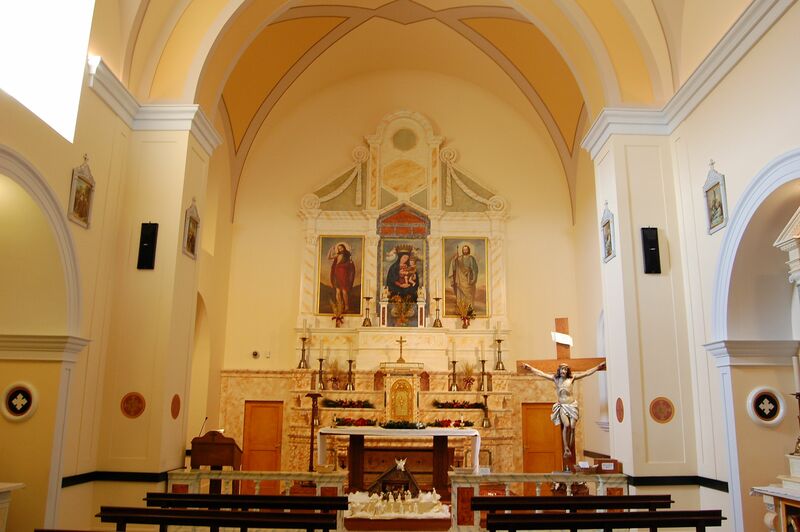 It is modeled after a 16th Century Capuchin Franciscan Friary Chapel. 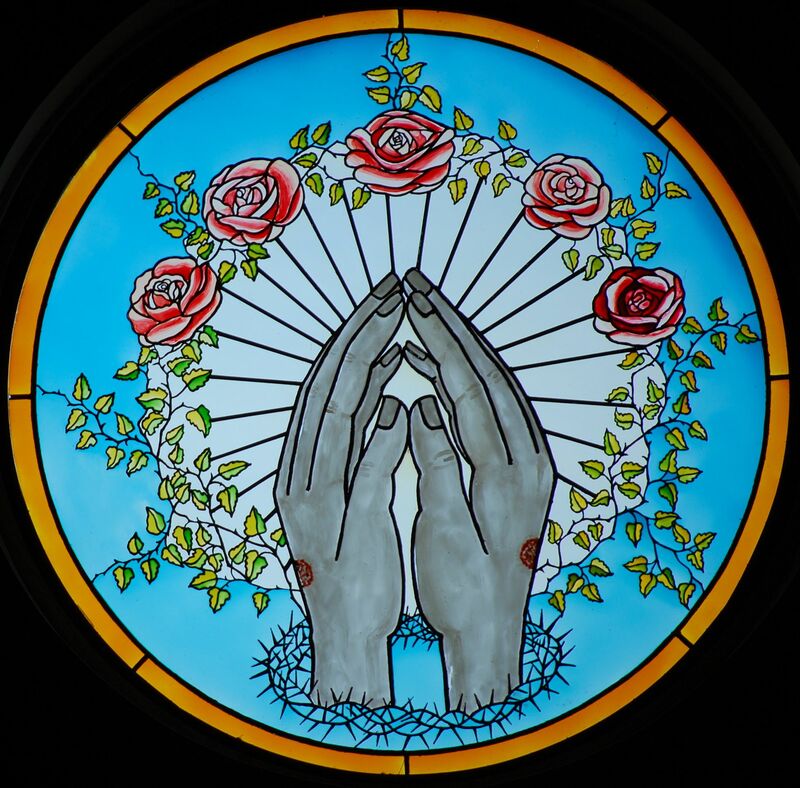 “Hands of Padre Pio”, stained glass, National Centre of Padre Pio. If the people of the world could only see the beauty of ones soul when it is in the grace of God, all sinners and unbelievers of this world would be instantly converted. Thank you: Fascinating and encouraging post. You are welcome. Appreciate your interest in the post. You are most welcome. I’m glad you liked the post. Thank you very interesting .Oddly we are all connected to these Godly men .Why is there no mass offered at the shrine? So true, we are all connected more than we think. And thank you for your comment. As to your question as to why no Masses or confessions are said at the Centre, there was a dispute with the Archdiocese of Allentown in 2004 over management structure and funding, that remains today. I have asked for 100,000 Prayer Warriors to pray that this dispute be rectified and will continue to do so until the matter is solved. Praise You Jesus Always. Four year old child totally healed of cancer December 2011 after saying prayers asking for total healing. While praying at St. Pio Shrine, Barto Pa == Praying for a miracle to allow The Mass and Sacraments may be utilized at Padre Pio (St. Pio Shrine). Very nice to hear of the cancer cure for the child. It’s always heartwarming when a child is recipient of these good graces. I think you are on the right track with prayers, thanks for sharing. The Mass would be nice here at Padre Pio’s shrine. https://goo.gl/PyTJVl . Ms. Calandra did have a tumor the size of grapefruit, which eventually was gone. The miracle used for beautification was actually another miracle. The miracle used for canonization was also another miracle not attributed to Ms. Calandra’s miracle. I had no idea we had a Padre Pio shrine in Pennsylvania. Thanks for the introduction! 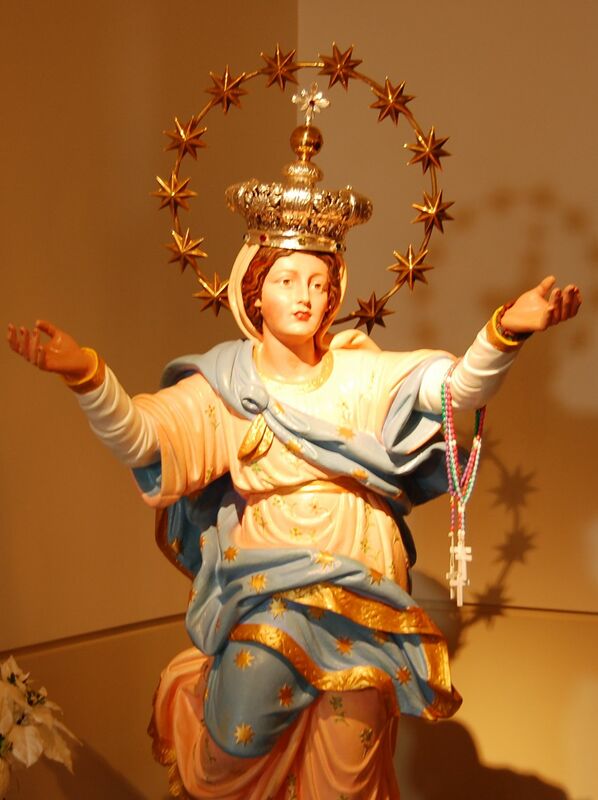 Be interested in your views on latest post, on the Holy Mass on https://goo.gl/PyTJVl. Do you have favorite part to the Mass?